Today, University of Rochester President Joel Seligman announced two extraordinary gifts from The Wegman Family Charitable Foundation (WFCF): a $10 million lead gift to the University’s Institute for Data Science and a $7 million gift to support the Golisano Children’s Hospital. Together with previous gifts to several programs across the University campuses, today’s announcement brings to $20 million the WFCF’s total contributions to the University’s comprehensive campaign. In recognition of this support for the Institute for Data Science, the Institute’s new landmark building will bear the Wegmans name. “It is our honor to support the University’s campaign,” said Danny Wegman, the Foundation’s president and chairman of the board. 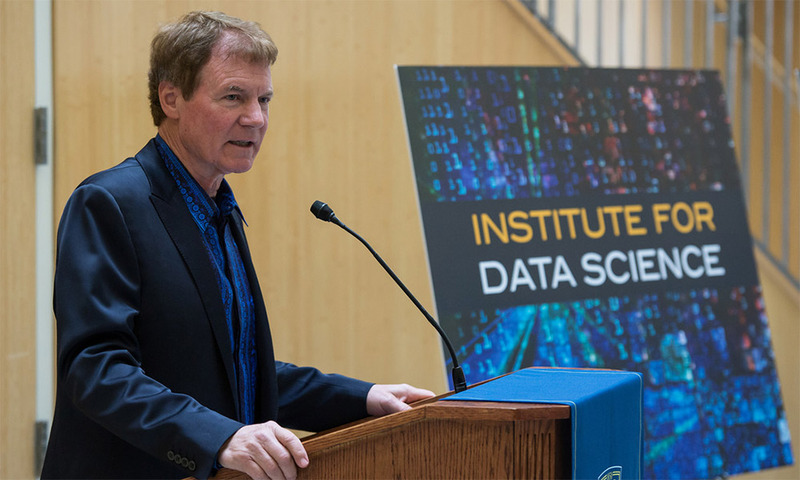 “The Institute for Data Science is helping the University and its collaborators become leaders in leveraging information in ways that will transform 21st-century discovery and innovation. The Institute for Data Science and the Golisano Children’s Hospital campaign are flagships of the $1.2 billion goal for The Meliora Challenge: The Campaign for the University of Rochester. The WFCF gift represents the fourth largest contribution to the University’s comprehensive campaign, and the second largest gift to the children’s hospital. This past fall, Seligman announced the University’s $100 million commitment—inclusive of the $50 million it has invested in recent years—to greatly expand its work in data science, the rapidly emerging field focused on how the world understands, consumes, and applies vast quantities of information and data. As the centerpiece of the University’s current five-year strategic plan, the Data Science Initiative features the creation of a new Institute for Data Science and includes the construction of a state-of-the-art building to house it, as well as support for as many as 20 new faculty members with expertise in the field. The proposed $25 million, 50,000-square-foot facility will complete the Science & Engineering Quadrangle on the River Campus, and will bring together—under one roof—faculty in medicine, science and engineering, the humanities, education, business and other disciplines for the purpose of data science research and studies. This new facility will also serve as the home for the recently designated New York State Center of Excellence for Data Science, which with support from Governor Andrew Cuomo and our New York State delegation, received $872,333 in the 2014-15 Budget. UR Medicine’s new $145 million children’s hospital features 52 private patient rooms, a greatly expanded Neonatal Intensive Care Unit, and various spaces designed specifically to meet the needs of children and their families. Some of the new spaces families will be able to enjoy include a healing garden, family lounges, and a hospitality suite where parents can shower, prepare and eat home-cooked meals as a family, or even run a load of laundry. 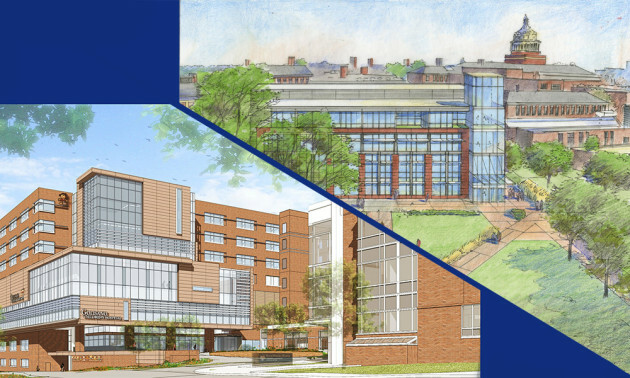 The new hospital, which is the largest capital project in the University’s history, is slated to open in the summer of 2015. To date, the community and donors, such as The Wegman Family Charitable Foundation and B. Thomas Golisano, have generously supported the hospital construction, giving $45 million of the $60 million that must be raised for the building. Wegman, honorary chair of the Medical Center campaign, hopes this gift inspires others to contribute to close the $15 million fundraising gap needed for the new building.